IVF is NOT a guarantee for pregnancy. IVF was created specifically to help couples who could not get pregnant and who have physical issues that interfere with their ability to get pregnant. Over the years that technology has improved to increase rates. But it is not anywhere near 100%. Most success rates nationally are low. In 2013 the success rates for a woman over 40 were: less than 30% chance of getting pregnant and less than 20% chance of delivering a baby with a fresh IVF cycle, and a 40% chance of getting pregnant and less than 30% chance of delivering with a frozen IVF cycle. Why age 40 or above? Most women and couples who are using IVF are usually older, they choose to move faster to IVF since they are wanting to conceive faster. It can take upwards of 3 IVF cycles, plus more transfers, for most patients to get pregnant. Broadening our expectations can help us understand what we are getting into. This is a process, a lot goes into it, it can be very stressful on you, your relationships, and your body. You need as much support as you can get. 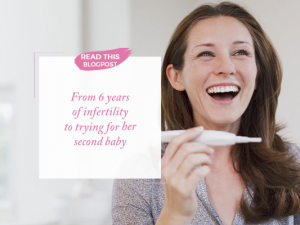 If you need a natural fertility specialist to help you on your IVF cycle with an Assited Reproductive Clinic, I’ve walked hundreds of couples through IVF cycles, I can help prepare you for what to expect. I can also help increase your chances of success. What are the keys to make sure your body is ready to for an IVF? One of the keys is to make sure your body is ready to handle and receive a transfer. Taking time, 3 or 4 months, to prepare yourself. I can help you clean up your diet, clean up your lifestyle, support yourself with proper nutrients, nutrition and supplements. You can also take that time to work on your relationship with your partner to make sure it is as strong as possible. This ensures that as you approach those stressful times in your IVF cycle, you are ready to handle it, both emotionally and physically. 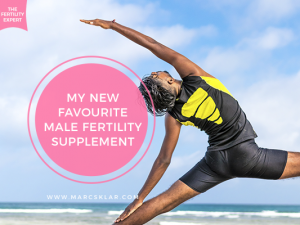 Download my best fertility resource… ever!! More than +2500 ladies have it already! The Home Remedies Guide will help you supercharge fertility naturally during your IVF cycle. 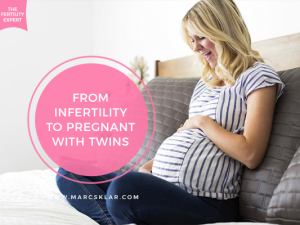 I go over my favorite fertility techniques you can do at home to improve fertility…starting today! You can get it here.